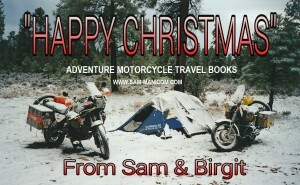 Birgit and I would like to wish you all a very Happy Christmas and a Brilliant New Year. We hope that whatever you have planned for the season, you, your families and your friends have a wonderful time. I love this time of year because we all get together and the feeling of goodwill is stronger than at any other time of the year. Fun too! 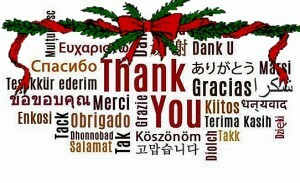 I’d also like to take this opportunity to thank all of you for your support over the past year. For correspondence, for buying copies of my books be they in paperback, e-book or Audio book format. If you are a magazine editor, thanks for accepting articles from me. It’s great to be able to share the fun of the road. If you are from a motorcycle or travel club and I’ve been presenting with you, or you have booked me for next year, thank you! I get a real buzz out of doing presentations. More chance to share the fun, the mad, the surprises and well, life on the road. 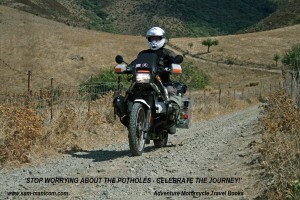 Thank you also for linking up on my Sam Manicom and Adventure Motorcycle Travel Books pages on Facebook and on Twitter. If you’ve not done the latter, we have fun there too. It’s giving me the opportunity to share all sorts of quirky things travel related. @SamManicom See you there. I hope that whatever happens in 2015, you have some great adventures, good health, prosperity and the chance for plenty of smiles. Happy Christmas and a very Happy New Year to you all.